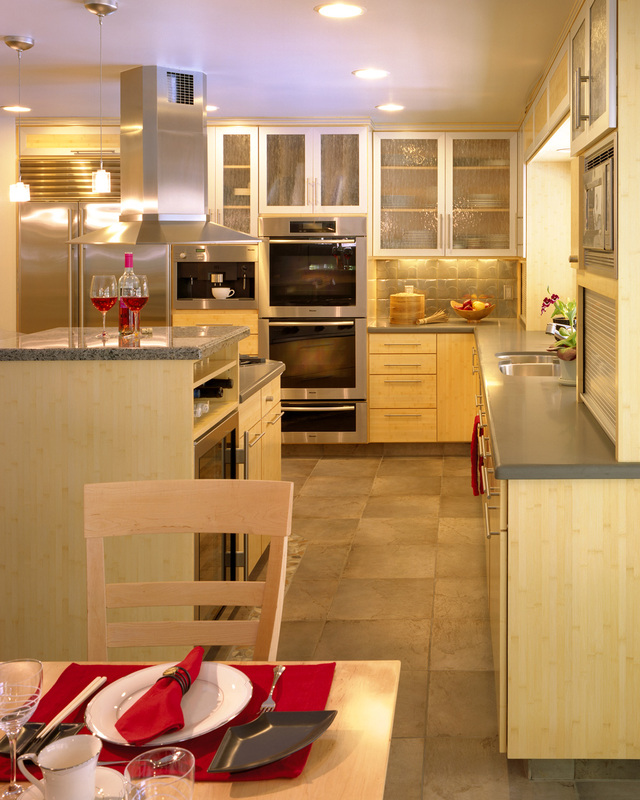 Updated California Rancher kitchen reflects owner’s Japanese aesthetic with modern twist, opening kitchen up to dining and family rooms. 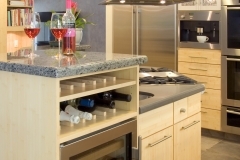 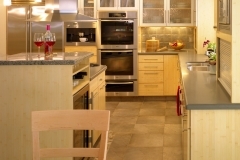 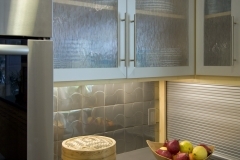 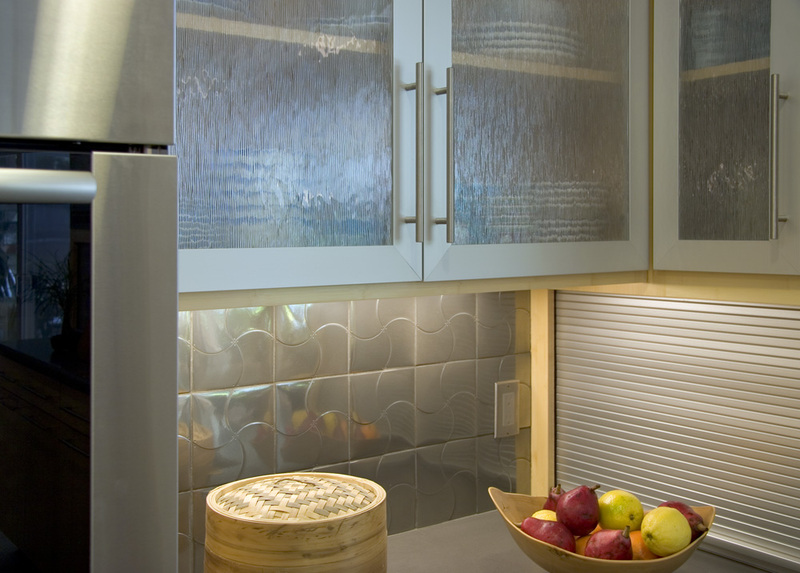 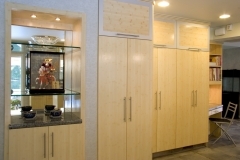 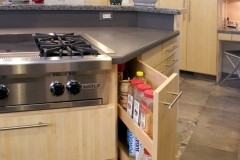 Kathy incorporated energy-efficient, upscale appliances, easy-to-maintain finishes, and additional storage space, while considering client’s physical challenges. 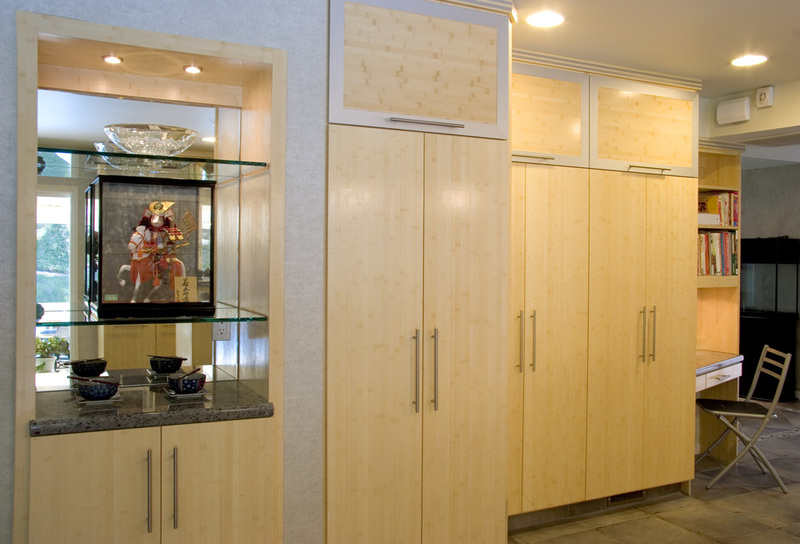 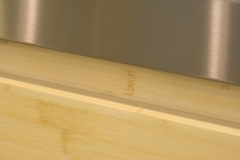 Created Zen-like quality of four elements and earthy finishes with river rock, flat-cut bamboo, quartz and granite tops, rain-patterned glass, and simplicity of lines in cabinets. 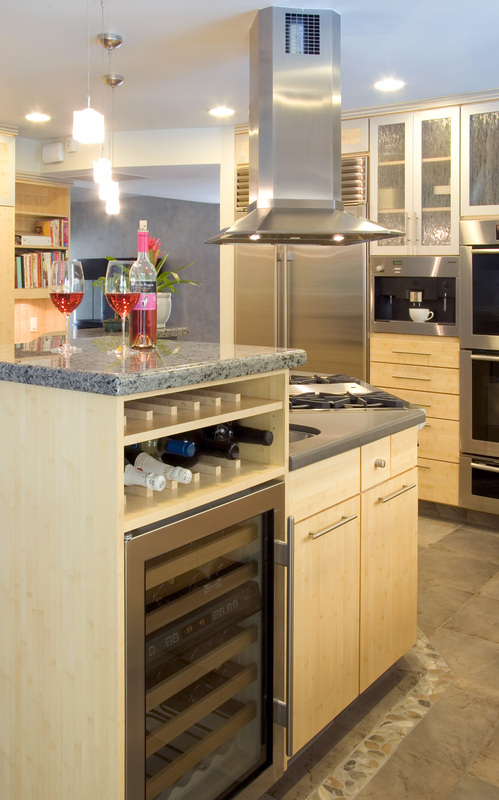 Added a crisp, modern touch with new stainless steel built-in espresso machine, sub-zero refrigerator, and wine cooler, along with all other appliances, faucets, sinks, and hardware finished in stainless steel. 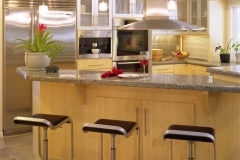 Enabled home chef to prepare Asian specialties while visiting with family by adding island bar counter with tandem sinks and counters. 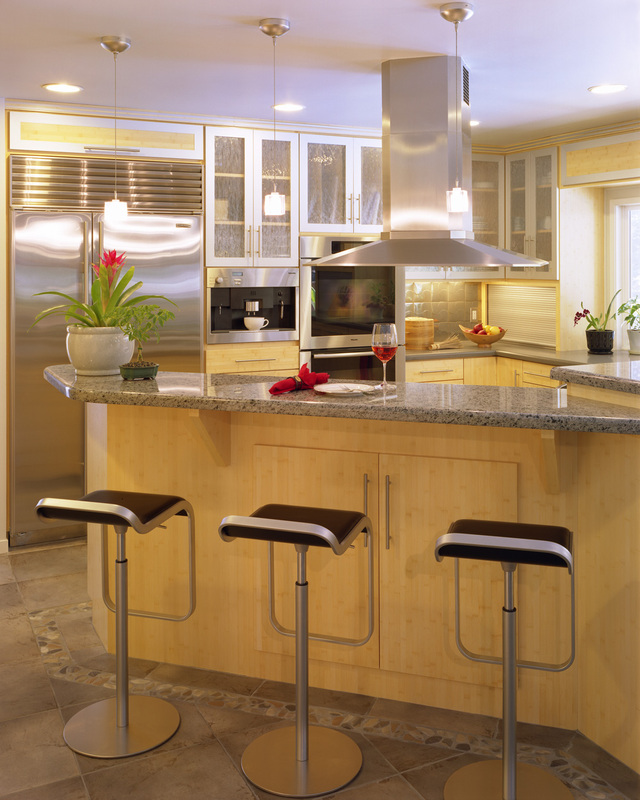 Extra-deep window counter enabled owner to tend orchids while viewing golf on adjoining family room’s large flat-screen television. 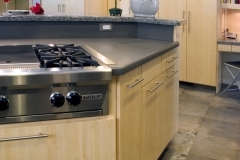 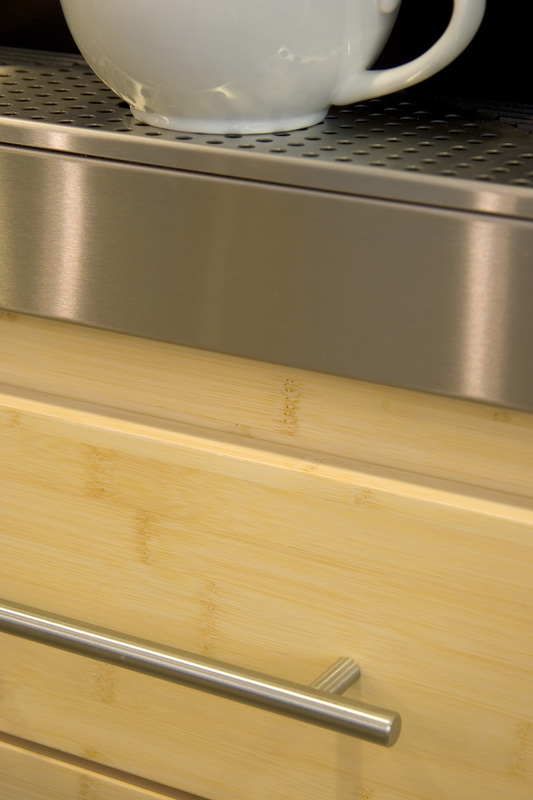 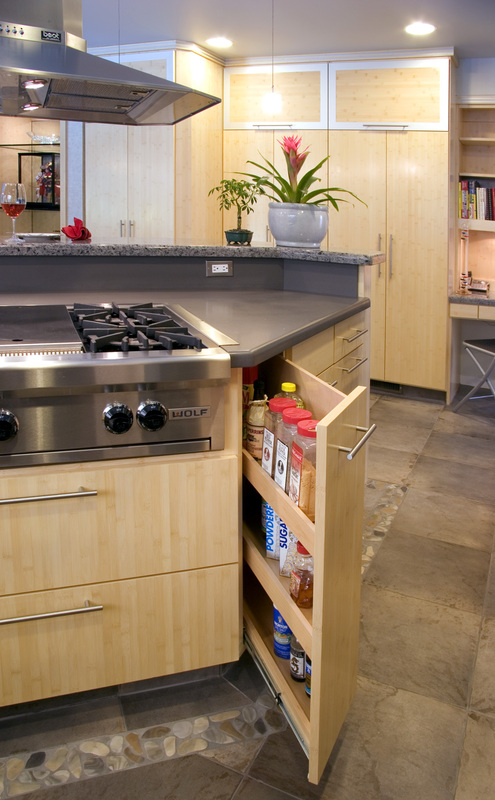 Added big BTU range top with continuous burner grates set into Caesarstone solid surface countertop and backsplash topped with high-efficiency floating exhaust hood. 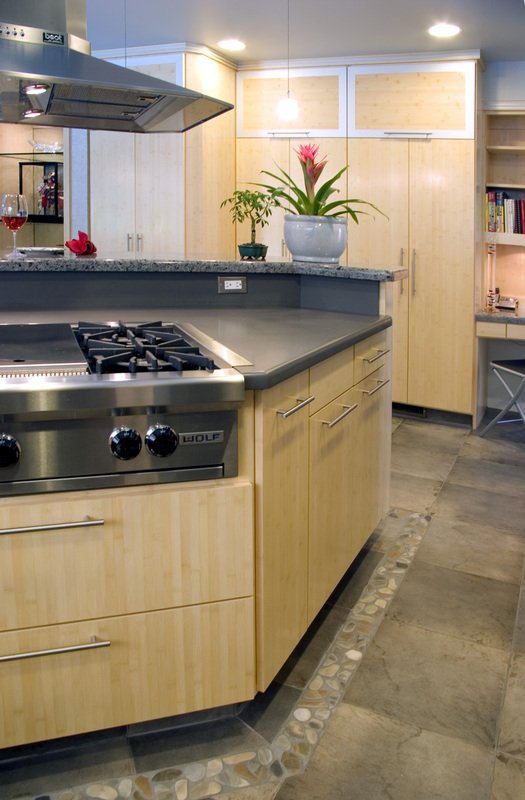 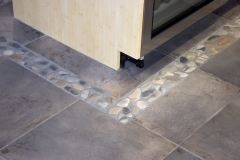 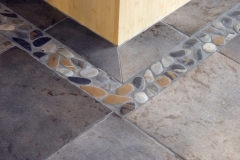 Dispelled owner’s body circulation issues by using heated tile floors with flat river rock borders in food-prep areas.